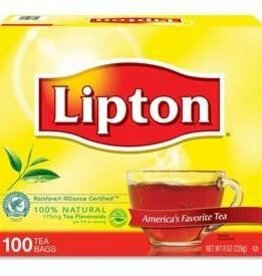 Lipton Tea Bags 100ct. Box. Don’t just default to the usual, enjoy the superior taste of fresh-brewed Lipton tea. It’s the Lipton Difference, so take a sip and let our tea brighten your day.